The Israeli and Jewish organizations in the United States are used to trigger the fire in the "Potomac" river when anyone, anywhere, has an opinion that goes, even marginally, against declared policies and attitudes of Israel. These organizations, such as "The Anti-Defamation League (ADL), argue that the Egyptian series "Horseman without a mount review the" Protocols of the Elders of Zion". Zionist circles in the United States and Israel have severely criticized the production of the series which will be aired in the month of Ramadan. They even accused Egypt of anti-Semitism. In a message addressed to U.S. Secretary of State Colin Powell, ADL National Director Abraham H. Foxman said that the series promotes racial and religious hatred and anti-Semitism. He also added that "Horseman without a mount" teach future generations that "affect" a religion is an acceptable way of expression. The series is in 41 episodes. The main role is played by the famous Egyptian actor Mohammed Sobhi, also co-author of "Horseman without a mount", a work that highlights the Zionist deception to dominate Palestine and the media in the world. The Egyptian Minister of Information Safwat al-Cherif said that egyptian media policy would never accept that an Egyptian series, broadcast or documentary film violates the religious themes. "The media policy of Egypt affirms respect of religions", he said. He stressed that "Horseman without a mount", issue of some controversy in the medias, did not contain any dialogue that could be considered anti-Semitic. According to al-Cherif, Egyptian media policy is based on freedom of expression as a human right. "Any infringement of this freedom is a violation of democratic values", he added. 1) prejudice artistic work or a series before watching it is simply an attitude containing a lack of maturity and intelligence. "Horseman without a mount" should be considered only after placing it on the screen, unless it is a subjective approach, or an intellectual and emotional terrorism that violates any international recognized standards of the freedom of artistic work. 2) To evaluate any work of art based on facts or fiction, we must take into account that any State should not impose restrictions on artistic creativity or freedom of expression and opinion among the primary human rights. 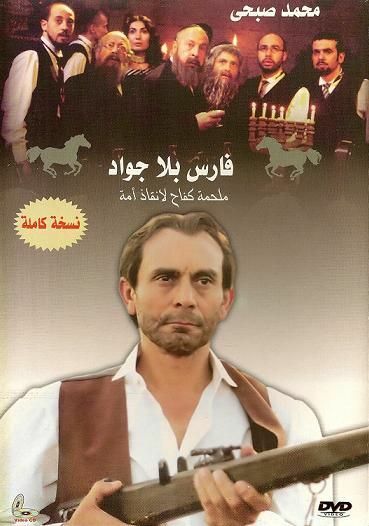 3) "Horseman without a mount" is produced by a private Egyptian television channel. Although the Egyptian Radio and Television Union owns 10% of the shares of this channel, it has no control over its editorial or production policy. 4) The Egyptian medias, arts and culture has never adopted throughout history, an attitude hostile to any religion or faith. History proves that Egypt was always the fulcrum of many civilizations and cultures. It also proves that the Egyptian people has always been characterized by tolerance and the desire to coexist with all people, irrespective of their religions and beliefs. 5) The Egyptian medias respect all religions and put them on the same footing. They do not allow or encourage the violation of beliefs and sacred subjects. At the same time, Egypt will never accept intellectual terrorism or the violation of freedom of expression or opinion. "This is a luxury that Egypt can not afford. Any violation of these freedoms is a violation of democratic values that we share with humanity. Nobody should think that we would be an exception," he specified. 6) The allegations made by those who have not seen the series in which they say that "Horseman without a mount" encourage anti-Semitism or religious hatred, are unfounded. Critics who have seen the series before its broadcast call it a "fictional drama" not based on the so-called "Protocols of the Elders of Zion". "Some episodes talk about the role of the Zionist movement in establishing a Jewish homeland and the suffering of Palestinians. All this is an undeniable historical reality ... It's a matter of several series and films produced in Europe and the United States", he added. "These attempts, which are intended to oppress the artistic and literary creativity, undermine any hope of spreading the culture of peace, friendship and tolerance". 7) It is neither acceptable nor reasonable to accuse, on a selective way, artists to be anti-semitics simply because they sympathize with the crisis of the Palestinians and criticize Israeli policies and practices. Faced with these allegations, the Egyptian intellectuals and representatives of parties and unions have refused all pressures and foreign interference in the artistic and cultural life in Egypt. Mobilized in a conference organized by the popular independent weekly "al-Osboua" (The week) under the theme "Defending freedom of creativity in the hegemony", they confirmed their support for the Egyptian government that refuses to comply with foreign pressure aimed to prevent the dissemination of the series on the TV screen of the State or by the Egyptian satellite channels. Participants affirmed that Egypt is a Semitic country and does not oppose Semitism, Jews or Judaism as a religion. They expressed their opposition to Zionism as a racist colonialist movement. The editor-in-cheaf of "al-Osboua" Mostafa Bakri praised the decision of the Ministry of Information to disseminate "Horsman without a mount". He criticized the attitude of certain circles in the United States and Israel who opposed the dissemination of the series. "This constitutes an interference in the internal affairs of Egypt", he said. Meanwhile, the co-author of "Horseman without a mount" Mohammad al-Boghdadi said that the e series was a comedy with a political background and political history. "It has no connection with anti-Semitism", he said. "the attack against Egypt aims egyptian and arab culture creators". Speaking, the general secretary of the union of the artistic professions, Ahmed Bedeir, one of the great actors of Egypt, said that the union supports to the series. "The union rejects normalization with Israel", he added. According to Bedeir, the Egyptian star Mohammed Sobhi discovered a very effective weapon, namely, art. "If Mohammad Sobhi is the Horsman, we are all his horses", he said. For his part, the head of egyptian lawyers union and leader of the Union of Arab Lawyers Sameh Ashour stressed that the Egyptian and Arab lawyers saw themselves as the defense of Egyptian artists in their struggle to show the series on the screens. The director of "Horsman without a mount" Ahmed Badr Eddine said that the Egyptian medias were able to use the weapon of art to confront the Zionist enemy. He said that if the Americans were careful to what Mohammad Sobhi had said in his play "Mama America", they would have prevented the attacks of September 11. Stating that the "Protocols of the Elders of Zion" is not a religion, actor Mohammad Sobhi said that the controversy concerning "Horseman without a mount" was much more important than the content of the series itself. "I apologize to the Arab audience because I have represented only 1% of what deserves this controversy", he said. "Why they are afraid of the series? If the Zionist entity and the Americans are afraid of this work, we will do more. I would have preferred to see this controversial after the broadcast of the series". Mocking of the reactions of opponents to the dissemination of the series, the Egyptian star joked about the fact that Egypt currently has an "artistic reactor" instead of the nuclear reactor. "The international inspectors could search for small weapons such as VHS or DVD", he said. In a communiqué issued at the end of the conference, Egyptian intellectuals and artists have called their counterparts in Europe, the United States and throughout the world to deal with any attempt to waive the human rights. 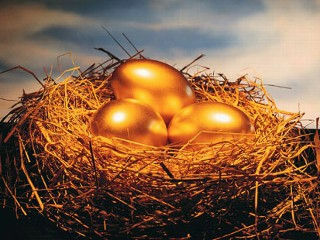 They also urge them to fight against this "new Mcartherian policy" characterized by the arrogance of the "single pole". They accuse the United States to confiscate the freedom of expression and all the views that go against the American vision. They affirmed their rejection of U.S. interference in the internal affairs of Egypt and Arab countries. They also sent a message to the Egyptian Minister of Information in which they condemned the American and Zionist criticism on a series which contains an objective point of view away from any infringement of the heavenly religions. Hmm... I like this post. Nail Osman's principles seams to be worthy and democratic enough. Though I can support that series contain an objective point of view . Hmm... I like this post. Nail Osman's principles seams to be worthy and democratic enough. Though I can support that series which contains an objective point of view are away from any infringement of the heavenly religions.